We are so excited for all the upcoming holidays of the Winter Cycle! 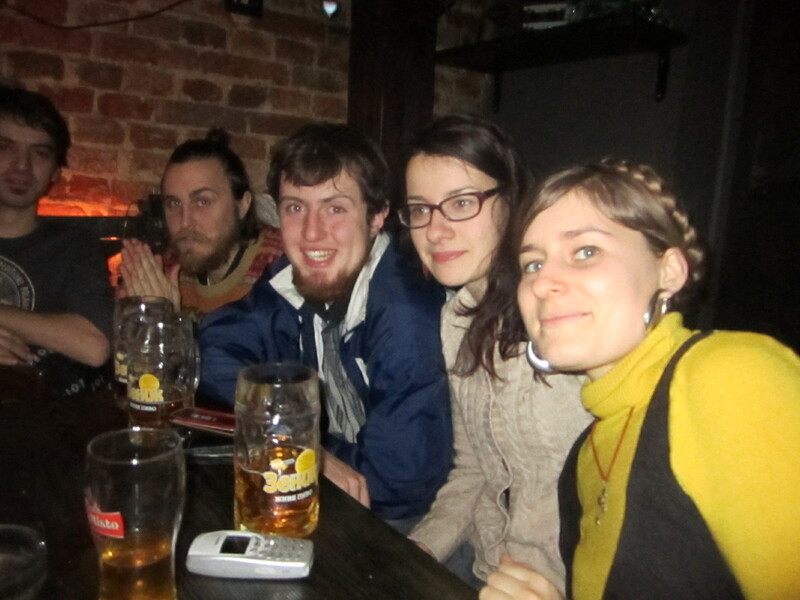 Koliada - Kosa Kolektiv is going to be carolling with a traditional Vertep and old-time koliady (carols). More info to follow soon. Contact us if you would like to be a part of this! Or... if you would like to have us sing at your home or party. 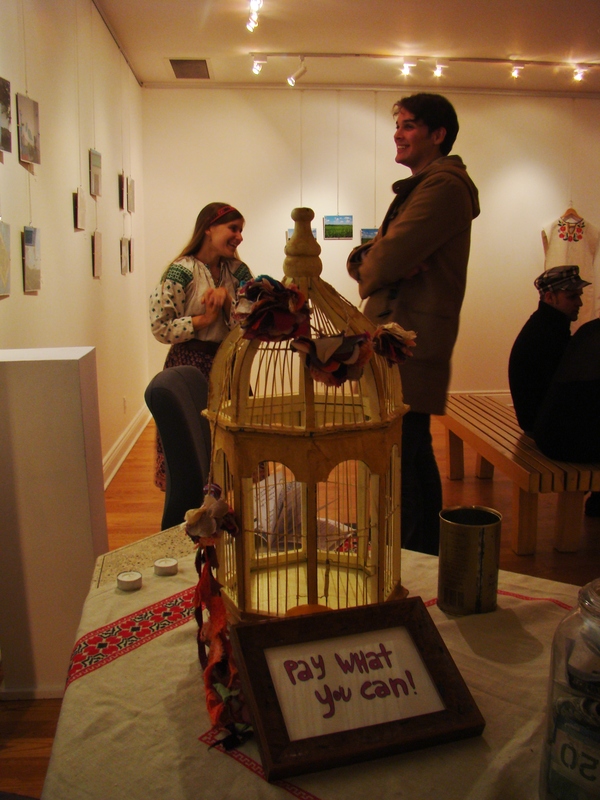 We are raising money for our future artists exchange project. Jan. 8- confirmed date for koliada, beginning in front of St. Nicholas church at Trinity Bellwoods Park, continuing on to the Communist's Daughter bar on Dundas St.
Kosa invites you to our upcoming gallery event - Marshrutka . Artworks are inspired by travels to Ukraine and Poland, visiting friends and family, and coming to terms with the modern state of our ancestral lands. The show will explore cultural roots through photography, painting and folk singing. Come out and enjoy all the staples of time well spent- homemade food, homegrown music, good company. 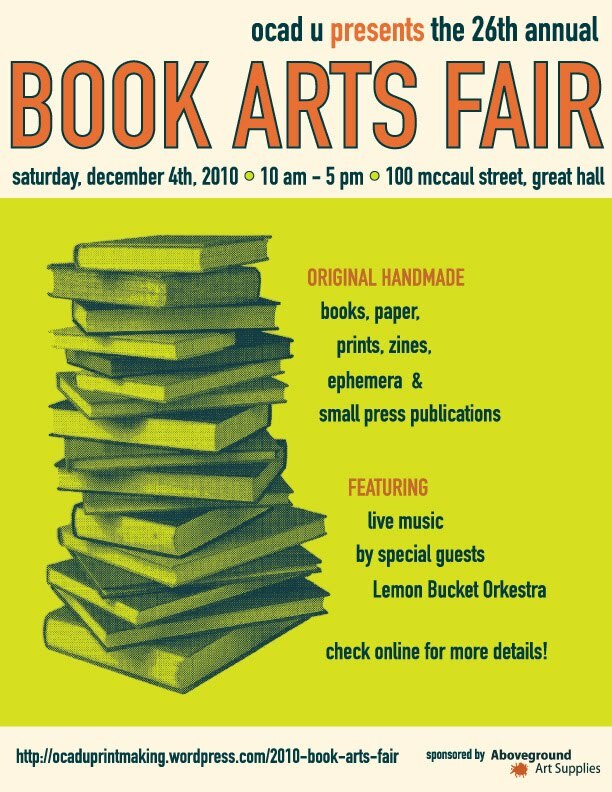 Check the poster above for event details. 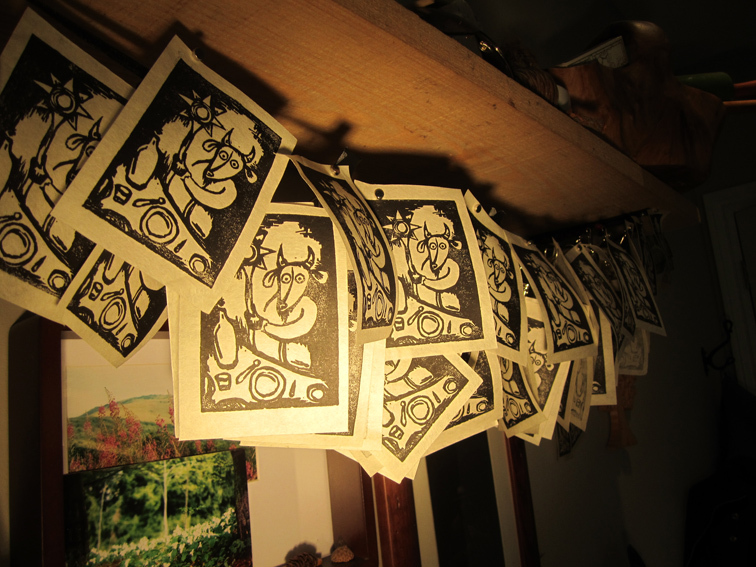 Kosa is going to be at the Fedora Upside-Down festival! "A one-night festival of non-stop live music from Toronto's most exciting urban folk collective!" 11 BANDS! OVER 50 MUSICIANS!! Folk-Style Painting Workshops- Coming Soon! 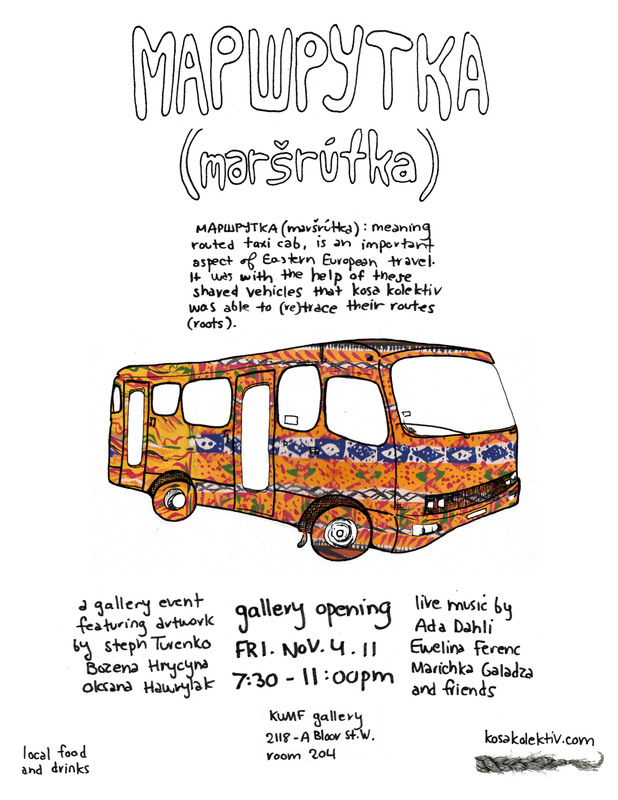 In September 2012, kosa kolektiv will host an artists exchange program to bring two recent Ukrainian Art School graduates to Canada to teach folk painting. We are excited about bringing these talented artists to Toronto to share their folk knowledge and expertise ! In supporting them, we believe that we are combating cultural loss by keeping this increasingly rare art form alive. Check out the pictures above for samples of their work. As a part of our program, we hope to offer 3 types of courses over the span of 4-6 weeks. Courses to be offered are : Folk Iconography, Folk Iconography on Glass, and Petrykivskiy style Flower Painting. Participants can sign up for all 3 courses or choose the one that is most appealing to them. As the culmination of the course, we’re planning a group exhibit/ art sale to showcase students’ work. All courses are to be held at St. Vladimir's Institute, 620 Spadina Ave. at Harbord. This course is available to people of all ages and levels, with a sliding scale fee to make it accessible to students. If you are interested in learning an ancient craft from authentic artisans, stay tuned, we’ll have more details closer to the date ! 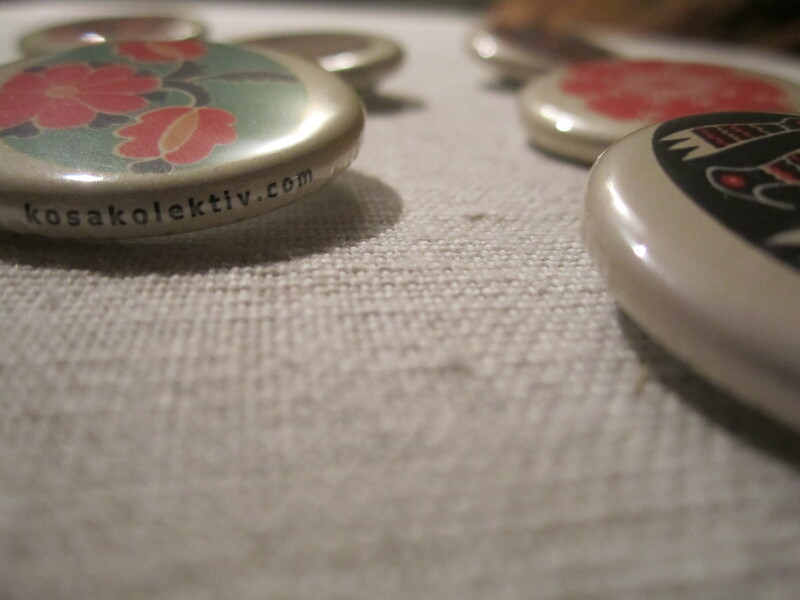 Join our kosa facebook group or e-mail us at kosa.kolektiv@gmail.com to join our e-mail list. This initiative has been generously supported by the Shevchenko Foundation and family and friends in the Ukrainian Community. 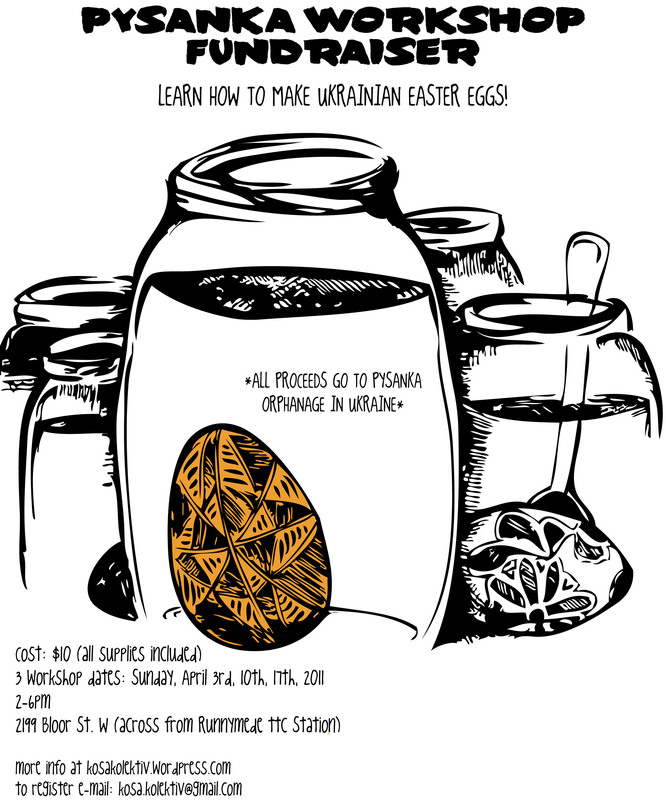 If you are interested in volunteering for the artists exchange, we are looking for Ukrainian/English language translators and artists. Every little bit helps ! Thank you in advance to all the people who have supported us ! 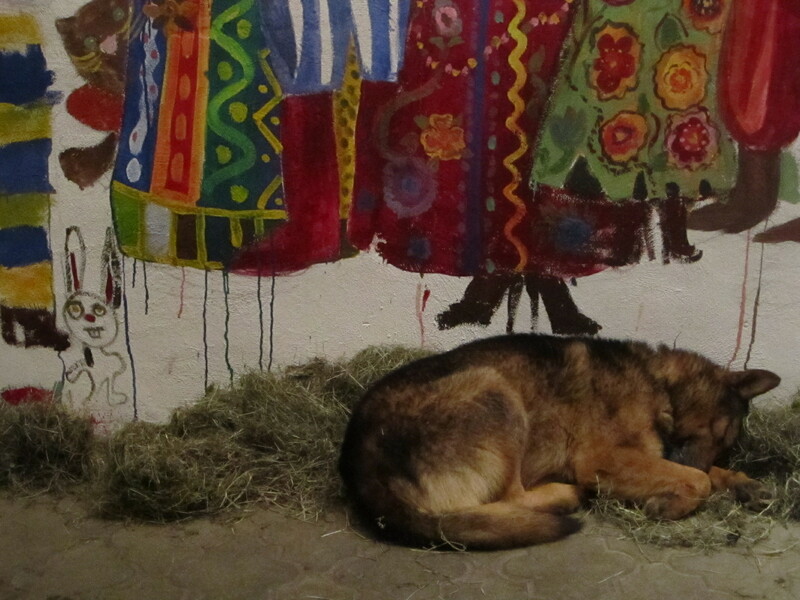 Kosa member Bozena Hrycyna spent the month of July at the artist residency Echo-Луна in Legedzine, Ukraine living with artist Naomi Uman and other visiting folks. 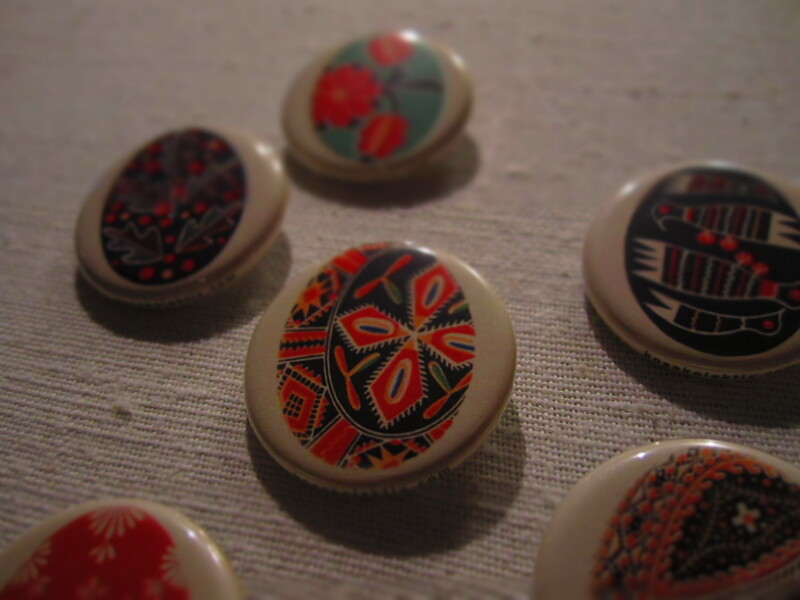 Among other things, she had the opportunity to collaborate on some fun folksy paintings with Naomi and Agitsa Bo-hi. These 3-way paintings were included in the online exhibition of the collective 3-art, for the month of September. Thanks to Andrea Wenglowskyj for inviting us to be part of her project! Ivana Kupala in the storm- a night to remember! On the eve of June 22nd Kosa invited everyone to celebrate the traditional summer solstice on the shores of Lake Ontario. An amazingly beautiful and diverse group of folk lovers arrived to our somewhat hidden and secluded spot on the beach, where a creek flowed into the lake, beside a big weeping willow tree. Despite the erratic and apocalyptic-looking weather we managed to enjoy a wonderful night of singing, dancing and games. Hopefully next year the sun-worshipping holiday will actually take place on a warm and sunny day! To all who came out- you are amazing! Kosa is so glad to have met so many kindred spirits interested in and appreciative of our folk roots. We had such an incredibly fun time! Thank you and see you next year!! 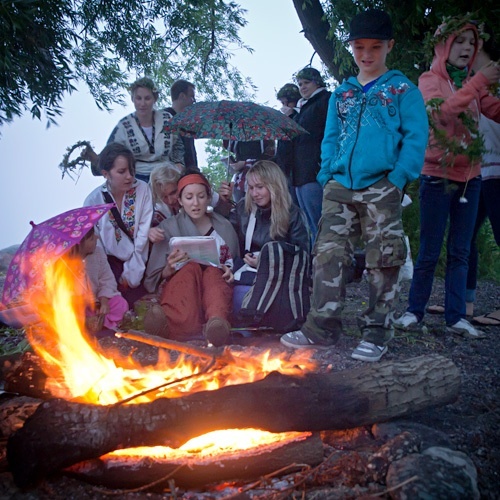 This Wednesday June 22nd, Kosa is hosting its first Ivana Kupala! 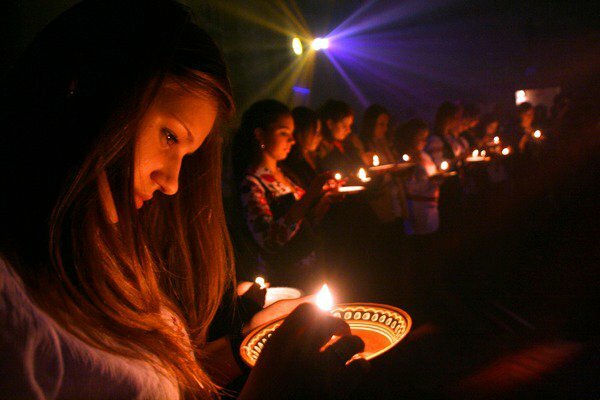 This ancient pagan holiday celebrated in Slavic nations. It is the eve when young people meet at rivers and bodies of water to light bonfires, sing and perform rituals associated with fertility. Everyone is invited to Humber Bay Park East (on the beach) to celebrate! Festivites start at about 6 pm. 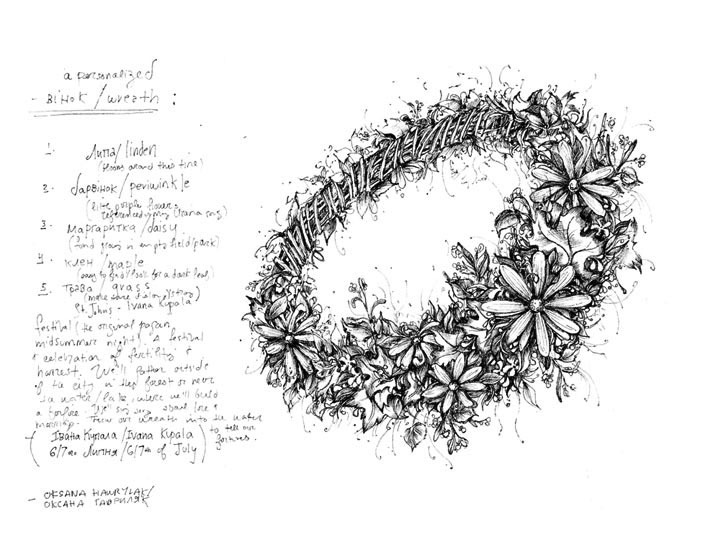 We will be picking flowers to make wreaths, eating some food (it's a potluck! Bring whatever you can carry!). The evening truly begins with the setting of the sun. Friends will have to leap over the bonfire, throw wreaths into Lake Ontario and search for the enchanted fern that brings good luck to whoever finds it. Music and dancing promised until sunrise. KUMF and Kosa Kolektiv present a film by Naomi Uman this Tuesday, June 21st. Kosa is providing some snacks, sandwiches and different types of teas. 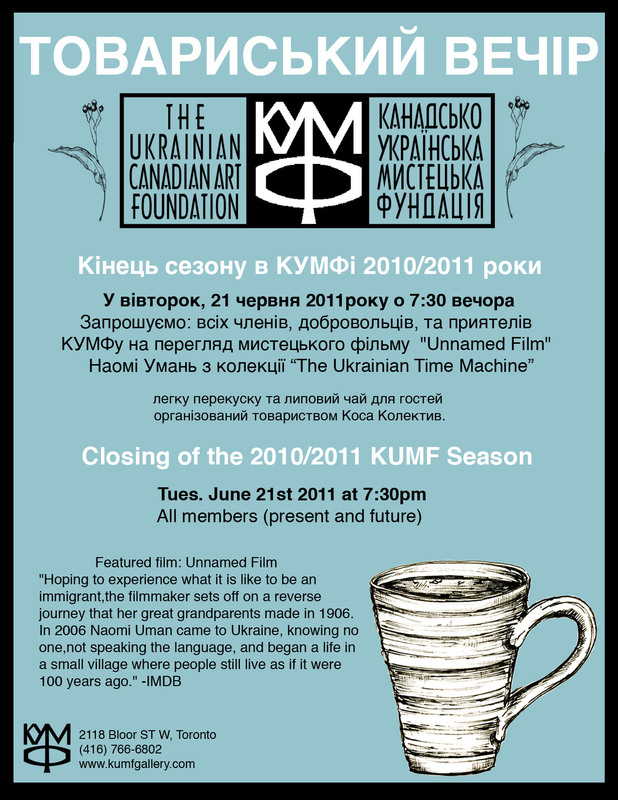 All are invited to come watch the film "Unnamed", drink local tea and enjoy the company! 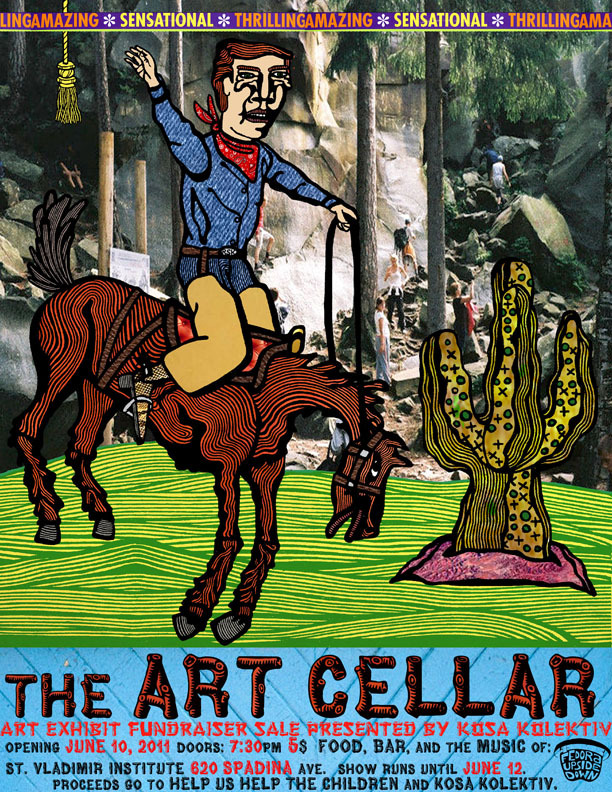 Kosa Kolektiv cordially invites you to The Art Cellar, a unique and reinvented art opening, on Friday, June 10th. Doors open at 7:30pm at St. Vladimir's Institute, 620 Spadina Rd., Toronto. There will be local art, music, food, and drinks for your enjoyment! This transformed space and art installation will include a collection of diverse, eclectic and affordable artwork created by young and emerging artists in Toronto’s arts community. 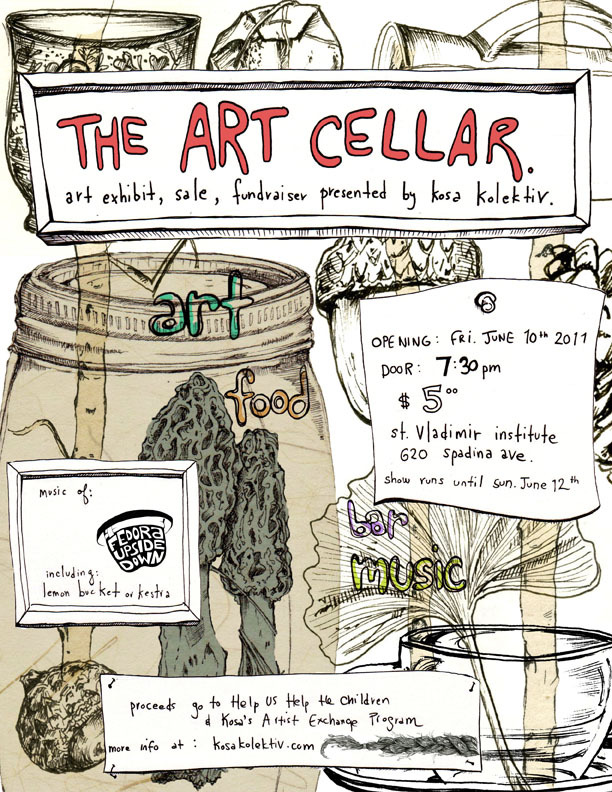 There will be photography, printmaking, painting, drawing and multi-media on display, which you can purchase for a good cause. Artists will be donating a portion of their sales to Help Us Help the Children's programs, which include summer camp and scholarship fund. 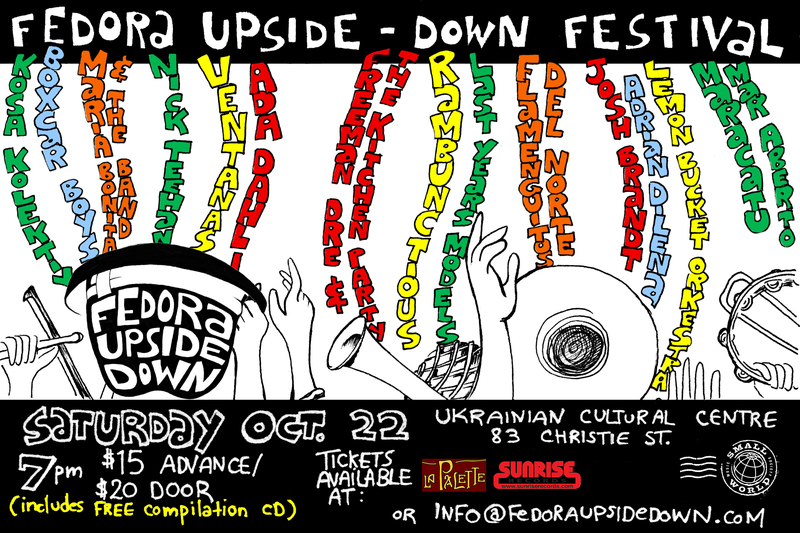 There will be live performances by Toronto’s musical collaborators Fedora Upside Down, including Lemon Bucket Orkestra, Freeman Dre and the Kitchen Party, Ada, and friends. All proceeds from the event will go to Help Us Help the Children and Kosa's future Artist Exchange project. St. Vladimir Institute graciously supports this event. Kosa Kolektiv would personally like to thank all their wonderful friends who came to help or entertain during the workshops. We would also like to thank Koota Ooma for sponsoring our event by donating easter egg making supplies and Lemko Association of Canada for taking some more amazing photos. Hello everyone! Kosa has finally reunited under the starless skies of Toronto, where Stephanie would sit, waiting for the day to finally arrive. And it has! Marichka, Bozena and Oksana have all made it back safely with many stories stowed in the their luggage and on their cameras. And... on another happy note, the money we collected through our Pysanka Workshop and other fundraisers for the Pysanka Orphange in Potelech, Ukraine was finally delivered in person by Oksana, Bozena and friends. 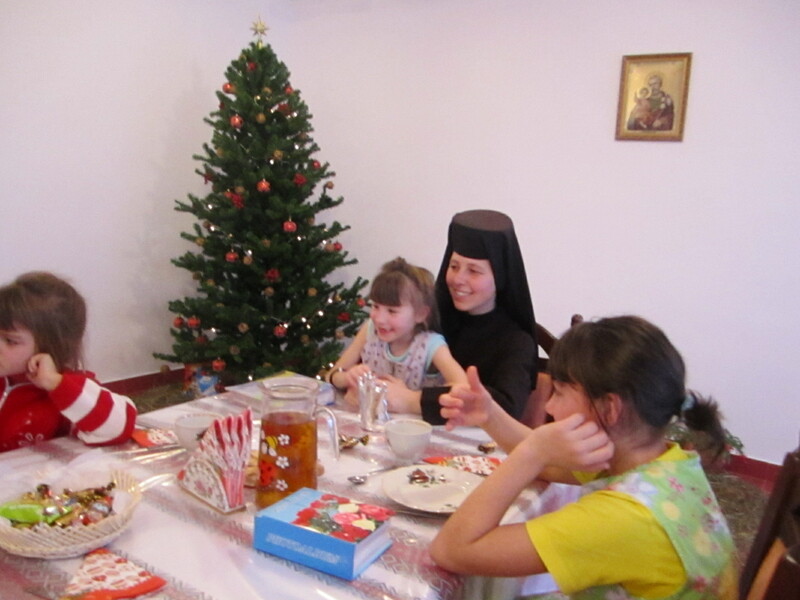 They made the trip to Potelech to visit the children living under the care of Sister Romana and her fellow nuns and were amazed at the stunning condition of the newly renovated building. And of course, thrilled to meet the children, who were adorable. Kosa would like to thank everyone for coming out and supporting them this winter season! Three of our four members are flocking to the warmer climates of Europe (Poland, Ukraine and Italy) to hopefully gather more supplies for our crafting endeavors. Alas, they are also leaving Steph alone in Toronto, wishing that she too could join them (but will settle for someone taking her out for coffee or reading her a romantic acrostic poem). For all those wondering where they will see us next, that same question is also floating around in our heads... Just keep checking our blog for future events! We leave you with a little accordion music by Kosa's good friend Tangi Ropars who won the title of "Toronto's Best Busker" last month! Congrats Tangi! Kosa invites you...to experience Andrew’s Eve! An evening of folk traditions that include fortunetelling games and matchmaking fun! "In Ukraine, St Andrew's Day is celebrated on 13 December with fortune-telling and parties where pancakes and pastries were used for games which were supposed to help girls find a husband. It was also a time for mischievous pranks such as putting a plough on a house roof or taking a gate off its hinges - all pre-Christian traditions connected with courtship and marriage." Traditionally Andrew's eve is all about fortunetelling related to matchmaking and flirtatious energy. The evening will start out with some fortunetelling games organized by Kosa ladies and company. 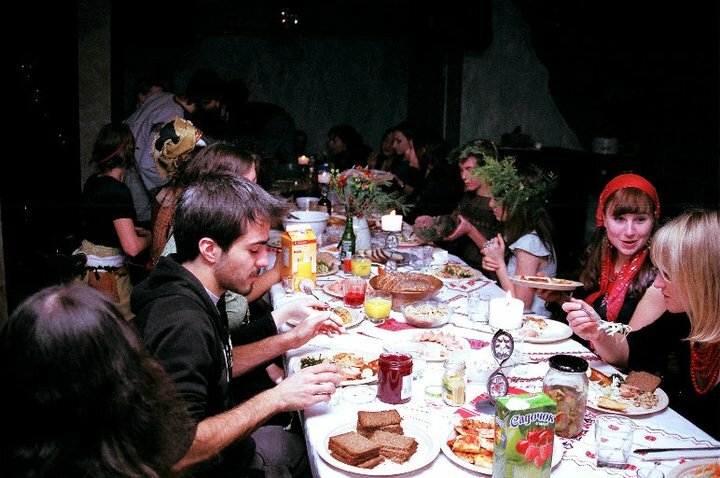 Then, we will all guess our romantic destinies and enjoy dinner together to the sound of folk music brought to us by Lemon Bucket Orkestra and friends! If there are any fortunetellers (palm readers, card readers, etc) please contact Bozena at bhrycyna@gmail.com to make sure your talents are featured! Колектив Коса вас запрошує на Андріївські Вечорниці! в цю пятницю 10ого грудня о 7-і годині в барі "Трембіта" 83 Christie St.
Вечір почнеться з традиційними іграми і гаданням (кусання калити і т.д.) і продовжиться зі спільною вечерею. Музиканти з гурту "Lemon Bucket Orkestra" будуть всіх розвеселяти народними мелодіями. Прийдіть пошукати вашу долю! Прийдіть гадати яка у вас буде любов! Просимо всіх хто зацікавленні брати участь щоб дали Божені знати (скільки осіб сподівати і що думаєте принести на вечерю). 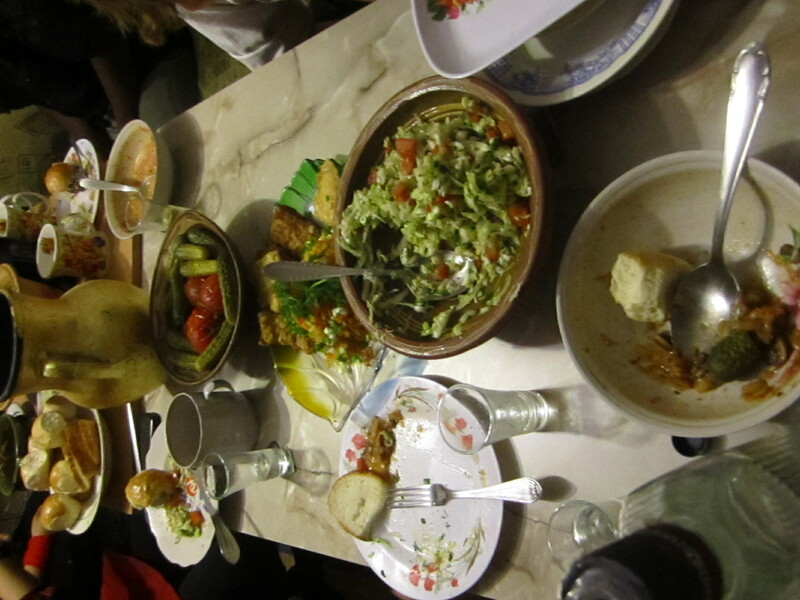 Це пісна "potluck"вечеря. Просимо щось з домашної кухні (картоплю, голубці, вареники, капусту, горох, гриби, т.д.) Можете ще принести не-алкогольні напитки. Бар буде продавати пиво і горілку. Якщо хочете ворожати, будь ласка! Заохочуємо вас принести карти, свічки на ворожіння... та вдягнутись в народний/фокльорний/святочний одяг. Stay tuned for our future events people! 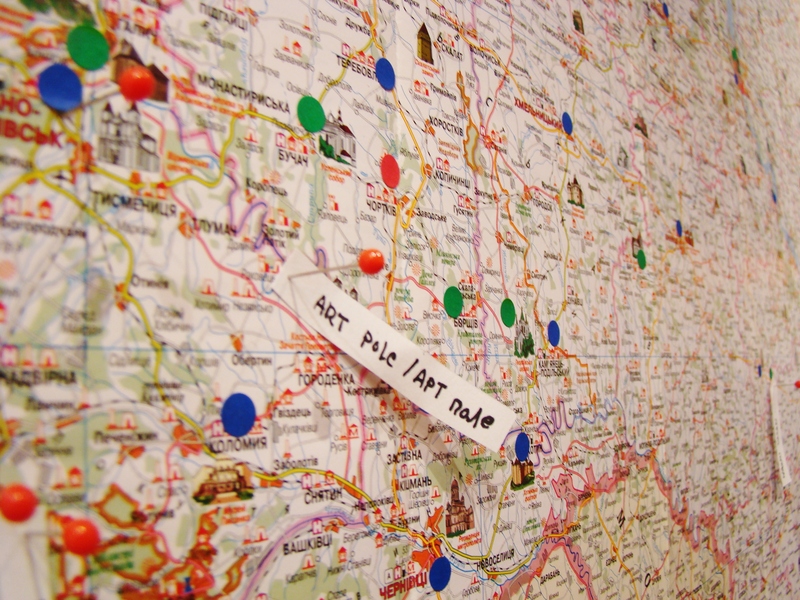 We have many ideas a-brewin! Kosa has been busy meeting up and planning for the future winter season!On our list so far is the St Demetrius Bazaar taking place Friday November 27th- Saturday November 28th in the church basement. 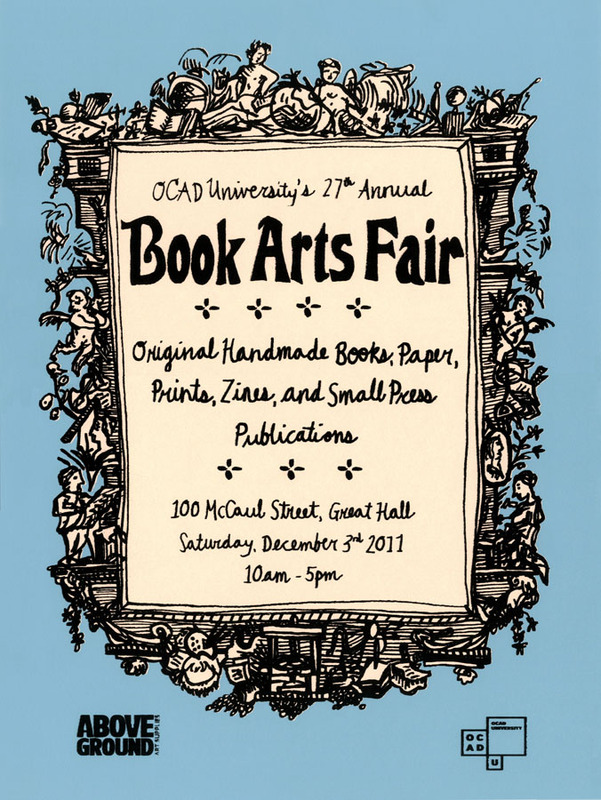 We will be there with a table and a whole lot of lovely treasures. Christmas cards, jewellery and accessories, poetry and art, tea and baked treats... all sorts of things! check out our "what we make" page for photos of some of these goodies. See you there!